(18/P062) TRENTON – With a wet spring coupled with the arrival of a hot summer, the Department of Environmental Protection is reminding property owners of common-sense steps they can take to help reduce mosquito populations and the risk of mosquito-borne illnesses, Commissioner Catherine R. McCabe said today. New Jersey’s 21 county mosquito control agencies use a variety of methods to combat mosquitoes, including public awareness campaigns, larval habitat source reduction programs, use of natural predators, and judicious application of approved insecticides by ground and aerial means to manage mosquito populations and reduce the threat of disease transmission. 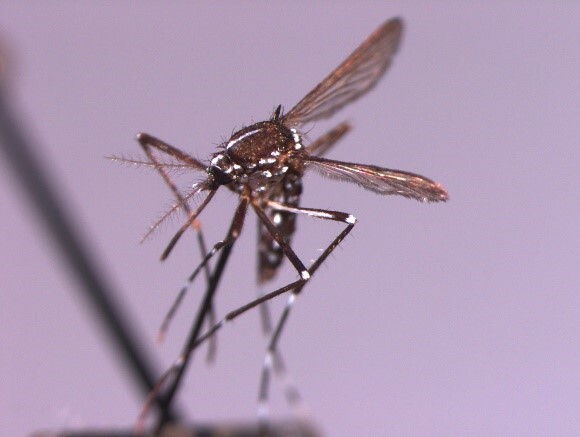 “As New Jersey moves through mosquito season, it is important to remember that reducing exposure to mosquitoes is the best defense against mosquito-borne viruses like West Nile virus and travel-associated viruses like Zika and dengue,” said Department of Health Commissioner Shereef Elnahal. Check for and remove any containers or trash that may be difficult to see, such as under bushes, homes or around building exteriors. Clean and chlorinate swimming pools, including those not in use. An untended swimming pool can produce enough mosquitoes to result in neighborhood-wide complaints. Be aware that mosquitoes may even breed in the water that collects on pool covers.